There are times in my life when I just can't believe how fortunate I am. The past week was one of those times; I continuously pinched myself to make sure I wasn't living a dream. If you had told me three years ago I would land a job that would eventually send me to The Netherlands, I most likely would not have believed you. Alas, it's exactly what happened. The past week, one of B Floral's floral vendors (FleuraMetz) sent me and four of my colleauges to Holland! 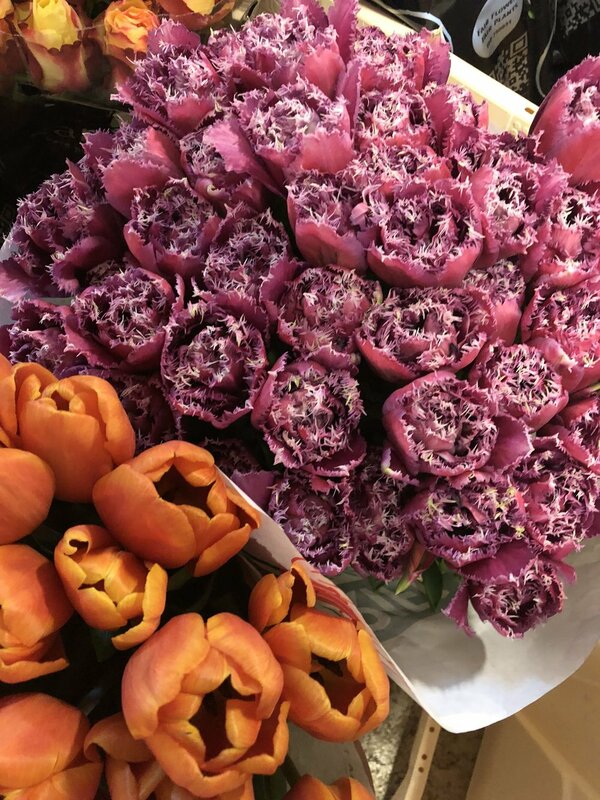 We spent a week touring tulip farms and orchid growers, attending huge floral trade shows, and exploring the beautiful cities of Vianen, Utrecht, and Amsterdam. Our busy week started Monday morning the moment we stepped off of our flight. 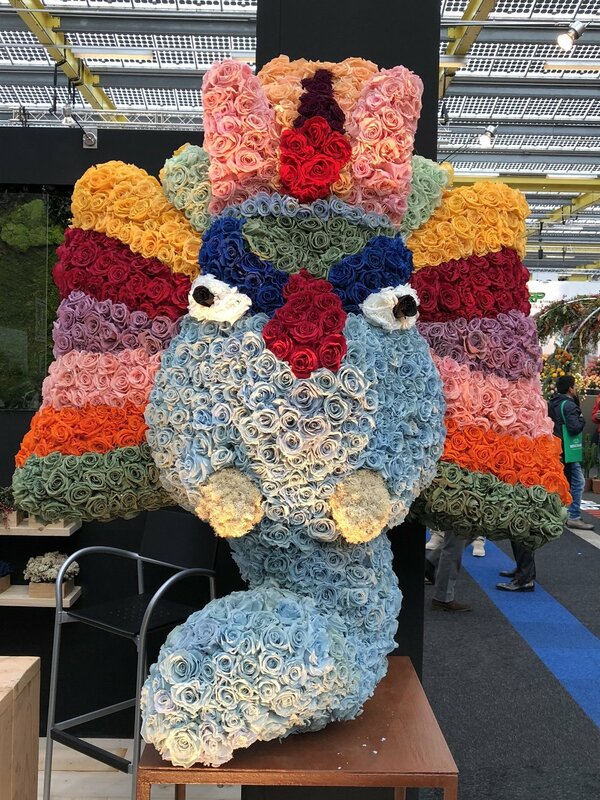 Our Holland FleuraMetz contact, Kees (pronounced Kase) greeted us at the airport and wisked us away to the morning Aalsmeer Flower Auction. The Aalsmeer Flower Auction is the largest floral auctions in Holland (and actually- the world!) where all the floral wholesale vendors (and other florists and design firms) come to place their floral orders for the day. 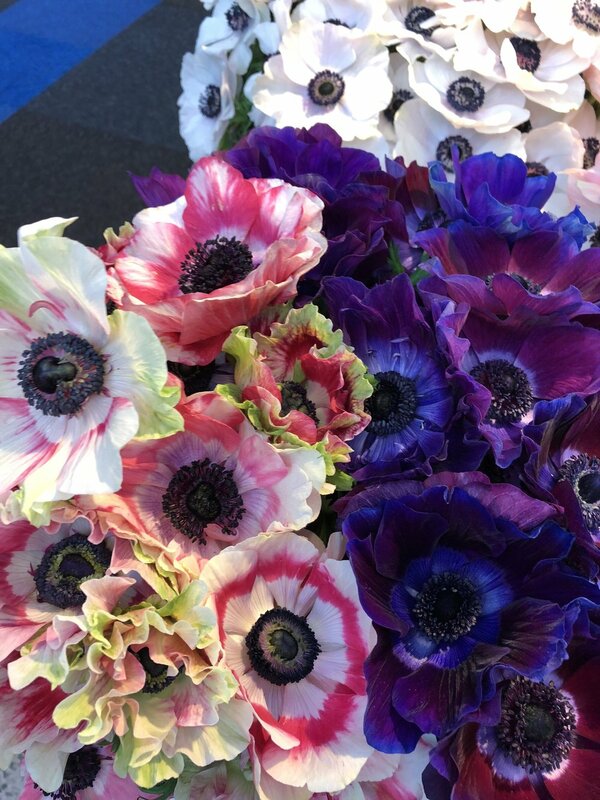 The Aalsmeer Flower Auction has an incredible system to organize and ship the florals to their buyers. Our team was completely enamored with the efficiency of the entire process and how quickly things moved. Following the Aalsmeer Flower Auction we headed to Laan Tulips. Laan Tulips is a family operated hydroponic tulip farm. We were able to tour the facilities and talk to the growers about their processes. Nearly everything at this tulip farm was automated. It was incredible to see how the utilized space and kept the progress efficient an streamlined. I fell head over heels for Utrecht. The architecture, the vibrancy, the canals. I think my (now) obsession with Holland in general started right here in Utrecht. This was the only weekday we had 'off' so we took full advantage. We shopped, visited the famous Saint Martin's Cathedral and enjoyed a leisurely late lunch and drinks. FleuraMetz also set us up with two orchid nursery tours. Our first stop was at Anco pure Vanda. These are air root orchids, typically found in Thailand. The facilities at Anco pure Vanda were, again, wildly impressive. The entrance paid homage to Thailand, where the growers initially import the orchids from. Our second orchid experience was at Peet Zwink nursery! Here, Peet himself took us around his greenhouse and showed us all of the different varieties his team grows. Peet has also created his own orchid varieties (this takes years by the way!). My new favorite variety of his was Kiss me Kate (named after his lovely wife). Our last two days in Holland we spent in the heart of Amsterdam. I had never been before and fell in love with the energy, architecture and overall vibe. I found the people to be incredibly nice and helpful. The nightlife was alive and buzzing (no pun intended) and we took full advantage. A couple of my colleagues and I toured the Anne Frank House, the Van Gogh Museum and took a Canal cruise to soak up some Amsterdam history. The entire week still feels like a dream. My colleagues and I continuously stated how lucky we felt to be given such an opportunity. It was not only an incredible learning experience in terms of our jobs, but also an amazing personal (and cultural) one. I had never been to Holland and had always put 'Amsterdam' on my travel wish-list. Now I can confidently say it's one of my favorite cities (in line with New York City and New Orleans!) I am definitely counting on going back soon! A huge thank you to FleuraMetz and B Floral for the experience!